I may have set some kind of record this month—a personal record anyway—in the number of books I consumed. And, yes, I’m using the word consumed on purpose. My mom has always said I devour books, that I should slow down and enjoy them. I do enjoy them! Just at a quicker pace than most. Now, I’m no speed reader. I met one once. The number of books she was able to move through was astounding. The last two years I’ve been too optimistic with my Goodreads reading goals. This year I went with the number 50. That’s less than one book a week and seemed doable, even when I have a week of a reading drought. In the month of January, I read 10 books. TEN. I’m very impressed with myself, if you can’t tell. I have and plan to review some of those books on this blog. I thought I’d give a quick recap of them and some recommendations. On my list were some non-fiction writing books, historical fiction and a surprise YA. I don’t think I’ll read ten books every month, but I’ll do a quick recap each month. 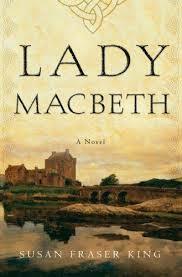 This novel is the story of the real Lord and Lady Macbeth. Set in Scotland in the 11th century, the narrator of this tale is Lady Gruadh, or Rue as she’s called. She’s in the distinct role of last in Scotland’s royal line. She’s also passionate about the Celtic tradition of warrior queens. 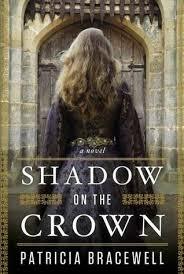 When the death of her first husband leads to a marriage to Lord Macbeth, the two become an ambitious force. I ended up loving this book. It was tough at first with the names of the people, the various chieftains, the political intrigue between the Scots, Saxons, Vikings and others. It took me a bit to find my footing, but the story of Lady Gruadh quickly pulled me in with its war, magic and descriptions of a harsh, amazing land. I follow Maureen Johnson on Twitter and I find her hilarious. I’m sure her humor may not do it for everyone, but I find her antics great for a laugh. Deciding I needed to read one of her books, I found my library had an “e” version of this book. It’s the first in a series and I plan on reading the others. The story centers on teenage girl Rory Deveraux, who moves from Louisiana to London at the start of her senior year in high school. Johnson’s descriptions of Rory’s reactions to life in the UK were hilarious. Even as an adult, I could totally relate to her moments of clumsiness or making silly cultural mistakes. When I picked up the book, thinking it was set in Jack the Ripper’s 1880s London, I was shocked to see it was set in current day. I wondered how she was going to connect the two and I was impressed with the results. Johnson, also, clearly did a lot of research for this book. This is a paranormal YA, but one anybody of any age could enjoy. I’ll admit I’ve never read anything by this bestselling author, so I decided to try this novel. It is a dual time period story, which I seem to gravitate toward naturally. 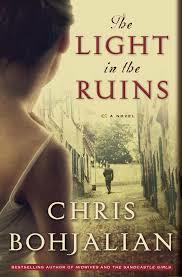 Basically, this story outlines the effects of war on a family and those around them in Tuscany during World War II. It has been more than ten years since the Nazi retreat from Tuscany as the allied soldiers made their way through Italy. Someone begins killing the surviving Rosati family members. While Serefina Bettini, a Florentine police investigator, tries to figure out who the murderer is in 1955, we are privy to flashbacks to the eventful year of 1943. I struggled at first to understand how the tales of 1943 and 1955 were going to fit together, but Bohjalian orchestrated their coming together like a master. The story is a haunting one, full of sadness and regret. This one will be on my “favorite reads of 2014” list for sure. Superbly written and executed book. If you’d like to know more, you can read my earlier post. This was my second book this month set in 1000s Britain. This book, unlike Lady Macbeth, centered on the southern part of the island. Young, like 15 years-old young, Emma of Normandy is married off to the older King Athelred of England. It is a political marriage made without Emma’s consent and she’s soon shipped across the channel to a foreign court not eager to greet the Norman bride. Emma is made of firmer stuff than I and faces a king grappling with demons, a brood of children from his first marriage who aren’t eager to see her bear her own children and courtiers who resent her title of queen. Emma, who has a talent for language, has a Dane for a mother, a Norman for an uncle and is the English queen. She is smart and observant. Where I would be climbing the walls of my social standing, she learns to wait and watch, biding her time. You can’t help but root for her, facing all the odds of a woman in 1002. There is another woman in this book who fascinated me. She was a courtier, the daughter of a powerful lord, named Elgiva (rhymes with Godiva). She craves power, unlike Emma who had it thrust upon her. I couldn’t help but think Elgiva would have made a great Wall Street CEO today. The fact that Bracewell’s story is woven around the true story told in the Anglo-Saxon Chronicles is even more amazing. This is the first in a trilogy about Emma and I look forward to reading more. Check out my friend Nicole’s great review of this book. I’ve wanted to read this book since it was published in the fall. I finally put it on my “reserve” list at my library. When I started this book, I could not stop. I’ll post an extensive review of this book later this week. It is dark. It is engrossing. It is a dive into madness. Very fitting for the story of Poe. This was my pleasant surprise this month. I needed an audio book for a road trip and grabbed this one from my library. 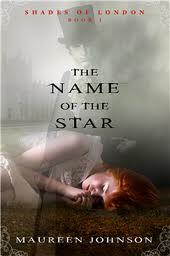 I’d enjoyed Maureen’s “The Name of the Star.” While this book isn’t as strong as TNotS, it was the message of the book I enjoyed the most. I’ll post a complete review in the next couple of weeks. Color me intrigued by the concept of this book. A man, as a result of an injury, begins to have flashes or “lurches” of the past. Not just any past, but the past of a Roman priest in 391 AD. A mixture of Dan Brown meets New Age, Rose uses a cast of seemingly disparate characters to weave the story of an ancient treasure, rumored to help you see your past lives, brought to light during a modern archeology dig. Josh, the hero of the piece, is reeling from the past life lurches he’s experiencing and the feeling that he somehow needs to use that knowledge to right a wrong. He, along with others, is racing to uncover the secrets of the ancient treasure. Josh’s goal is to keep it out of the wrong hands. This book goes beyond just a dual time period novel. There are several time periods and because people in the current day story are lurching back and forth, there are moments when it can be a challenge to keep track of where you are. The ending left me feeling a little unsure of exactly what happened. These books were on my Christmas list and I’m so glad I got them. I didn’t think they were really going to be a “read” and more of a reference book. However, I sat down with them to get to know them, so I would know when I needed them. So glad I did. 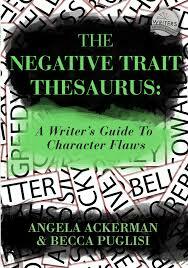 They offer great advice on getting to know your characters and what makes them different. I loved the emotion book, but the negative trait book had some great tools in the appendix. I’m already using the character pyramid to better dive into my main character’s, and supporting character’s, motivations, goals, flaws and virtues. Oooh, I have the character expression one but not the negative trait one. I’ll have to look into that!